In England, 159 thousand turkeys are to be culled after an outbreak of the H5N1 strain of bird flu. The virus has killed 2,500 birds on a farm run by Europe's biggest turkey producer in Suffolk. Meanwhile, an outbreak on a poultry farm in south western Japan is the fourth to hit the country this year. In recent weeks, H5N1 has killed 6 people in Indonesia and has spread through birds in Vietnam and Thailand. The virus has also claimed its first human life in Nigeria. 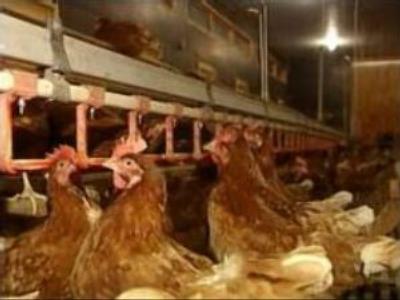 Last week, an outbreak of Bird Flu was reported in Russia's southern region of Krasnodar. But it's still unclear which strain of the virus was to blame. H5N1 has killed at least 164 people worldwide since 2003, most of them in Asia. And more than 200 million birds have died or been culled. The World Health Organisation has warned that a repeat is possible this year and has encouraged countries to remain on high alert.